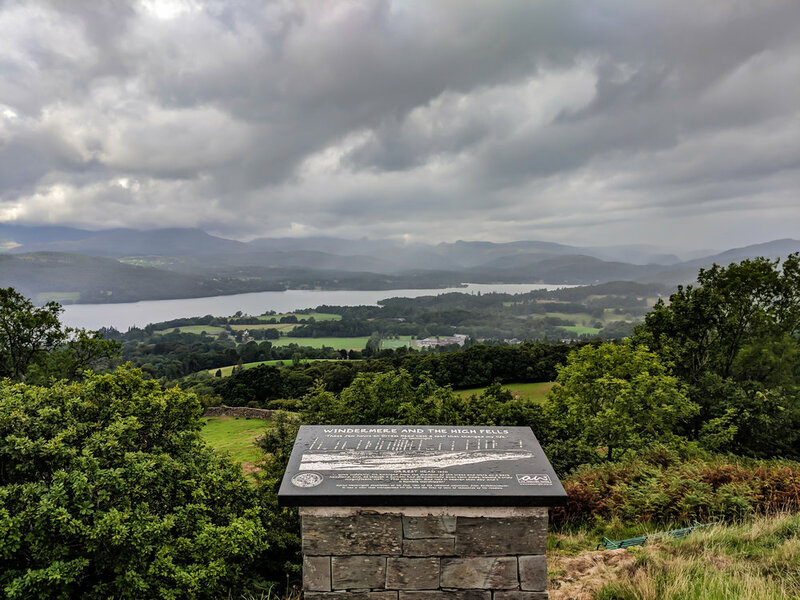 We'd booked ourselves into a little B&B in Windermere and wanted to use that as a base and hiking and just enjoy the calmness at our own pace. To help with this we'd decided on travelling up there via train as it would take 6 hours rather than drive which could easily be 8-9 hours driving. We booked our tickets well in advance and also got ourselves a travelcard for the two of us which meant we saved 30%. From our local station to Windermere it cost us £130 for the two of us as a return and we only had to change twice in the whole journey and it ran so smoothly. When we wanted to visit other places in the Lake District we bought a Stagecoach day ticket which was £13.50 each and that also included a boat cruise on Coniston Water. We arranged our trip about this time last year and I'd recommend booking as soon as possible as all the B&Bs were fully booked when we got there. We picked a place called Westbury House which is 1 short 10-minute walk from the train station and about 30-minute walk to Lake Windermere. The lady who ran the property was so helpful and really friendly and the breakfast in the morning was one of the best cooked breakfasts we've ever had. Really clean rooms and for us the ideal location. Windermere was our base for the break, and it made for a great base. There was plenty to do in the area and we knew we didn't want to explore too far and wide as we plan on going back time and time again. Windermere itself is quite a busy town when you get near the lake which is to be expected but once you walk a little bit further it's very quiet. The first evening we got some fish and chips for dinner and sat by the lake taking in the view. If you'd like to explore the area you can walk around the lake or get a boat ride. Failing that there is a walk called Orrest Head which gives you amazing views from the top of the hill over towards Lake Windermere and it really is stunning. Despite how beautiful Windermere is we wanted to visit somewhere different too. We didn't want to come all this way and just see one part of it. After a little research, we found that we could get a number of buses from the train station to different places. It seemed like one of the best places to visit was Coniston Water. 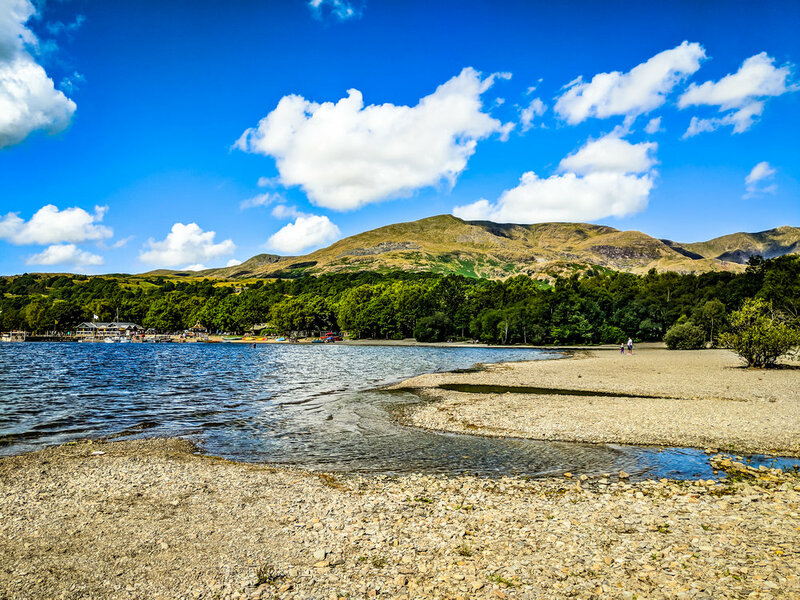 The ticket we purchased was £13.50 each and that allowed us to get on and off the bus as we wanted on that route and also gave us a boat cruise on Coniston Water which is the real reason we wanted to go. Coniston is a lovely little town with lots of gift shops places to eat in the main town and then a short walk and you come to the lake. Here you can hire boats, enjoy the small beach area, walk around the lake or treat yourself to one of the boat rides that are on during the day. The ride gives you some amazing views and you get to see things you'd never normally get to look at like the small secret island. There are a few places to eat around the lake too and they do amazing pieces of cake. Fact 1: The lake was the setting for Donald Campbell's World Record water speed attempt in 1966 unfortunately on the return leg the boat flipped and he died in the accident. Fact 2: This lake along with Windermere was the inspiration for Arthur Ransome's children's book Swallows and Amazons. On one of our little trips, we hopped off the bus at a small town called Hawkshead which is near the National Trust property Hill Top. I love visiting new National Trust places but what I didn't know was that Hill Top was actually the home of Beatrix Potter. 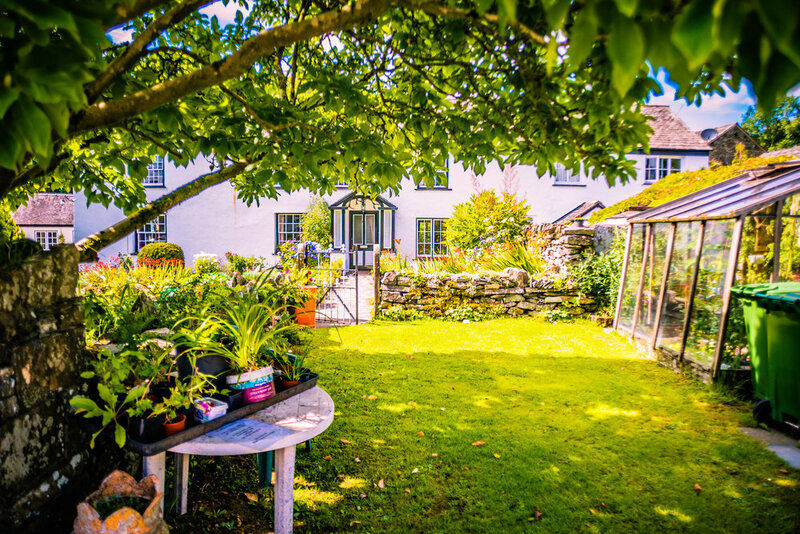 She bought this property in 1905 from the money made on her first book the Tale of Peter Rabbit and it was the inspiration for further books and it's easy to see why. It's a busy place and popular with tourists so try to get there early and book your timeslot to look around the cottage. Around the village there are a few other buildings and places to look out for that helped inspire the stories and there are usually activities going on to entertain children. From here we walked back to Hawkshead which is along a road for about 2 miles but on a warm day, it's a lovely way to get back down the hill. Everyone goes there for different reasons, some want to explore everywhere others prefer to relax. We picked Windermere as it was easy to get the train too but you might like somewhere like Keswick or Kendal there are so many places to pick from. Take waterproofs with you, the weather can change quite quickly especially up a hill. Make sure you're prepared and have good footwear, hiking boots and a little knowledge of being able to navigate will come in handy and might get you out of trouble. Speak to locals, they know the best places to go, the places to eat no matter how much you've read on the Internet. TAKE PHOTOS, I took so many. One that note I'll leave you with a few more.